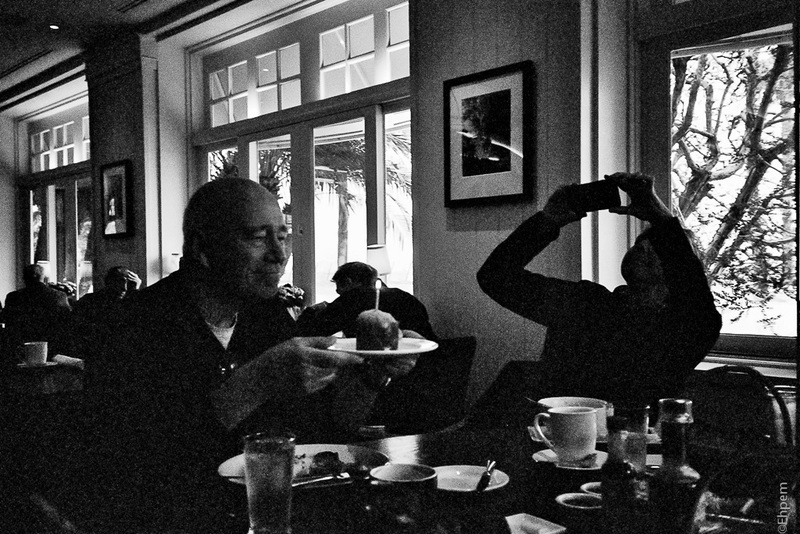 After shooting at the Santa Monica pier during the photography workshop several of us had a late breakfast nearby. Our instructor Sam Abell was there, it was his birthday, and someone got him a cake. Olympus XA2, Ilford XP2, this roll metered variously between ISO200 and 800 depending on the light. I am pretty sure this was ISO800. It’s a funny juxtaposition of the person taking the photo with their phone and him holding the cake – sort of a delightful mayhem. Thanks Lynn – I quite like it, even though the light was too low for the film it came out OK if grainy, and I like the person with the phone too.